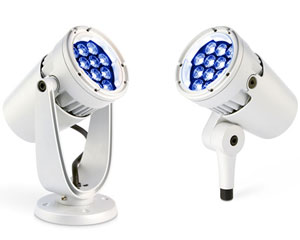 Smaller than Burst Powercore, Burst Compact is also an exterior-rated LED lighting fixture designed for accent and site lighting. 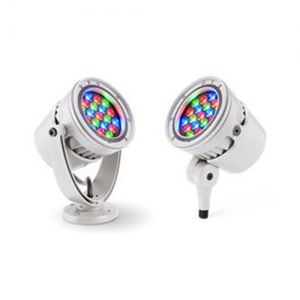 Available in multiple housing colors and standard Architectural and Landscape formats as well as intelligent color, intelligent white, solid color, and solid white light versions. 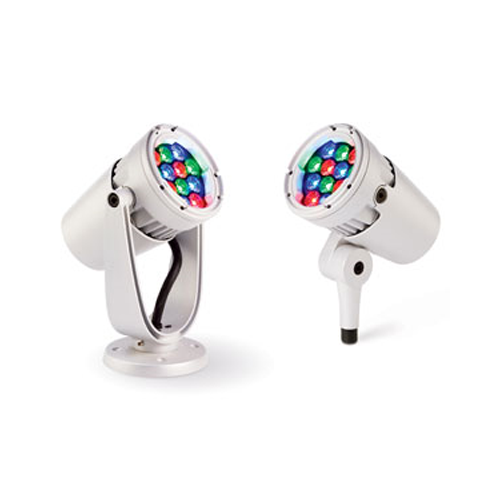 ColorBurst Compact Powercore is a high-output, exterior-rated LED lighting fixture designed for accent and site lighting. Architectural and Landscape versions deliver up to 498 lumens to support a range of dynamic uplighting, floodlighting, and decorative lighting applications. 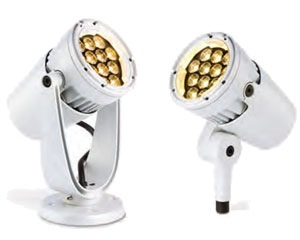 iW Burst Compact Powercore is a high-output, exterior-rated LED spotlight designed for accent and site lighting. iW Burst Compact Powercore combines channels of warm and cool LEDs to offer variable color temperatures ranging from 2700 K — 6500 K. Architectural and Landscape versions support a range of uplighting, floodlighting, and decorative lighting applications. eW Burst Compact Powercore is a compact, exterior-rated LED lighting fixture designed for accent and site lighting. Architectural and Landscape versions deliver high-quality white light output in a warm 2700 K and a neutral 4000 K to support a range of uplighting, floodlighting, and decorative lighting applications. 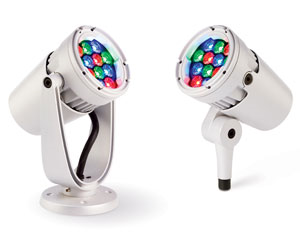 eColor Burst Compact Powercore is a high-output, exterior-rated LED lighting fixture designed for accent and site lighting. Architectural and Landscape versions deliver high-quality light output in Red, Green, Blue, and Amber to support a range of uplighting, floodlighting, and decorative lighting applications.